A terminal concession agreement represents the final outcome of a negotiation (that may take different legal forms) among a port authority and one or more terminal operators. In most cases, it defines the duties and responsibilities of the two parties for a very long period of time. Once the concession is awarded, its legal obligations remain (or ought to remain) fixed irrespective of changes that may happen in the port industry. In this sense, authors have often raised the question whether modifications to the current concession fee structure are possible in order to align public and private goals, and increase terminal performance. The importance of this issue lies in the fact that, in several port governance models, concessions are static agreements in which fees and other conditions in general do not change over time. The current paper addresses this issue, discussing the possibility—and the advantages—of introducing a dynamic approach, able to guarantee benefits to both the terminal operator and the Port Authority. 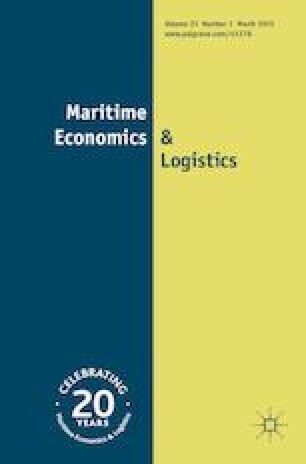 To achieve this goal, the paper develops a methodology based on dynamic incentives, based on the relative performance of a port terminal operator in respect of its competitors. The authors are grateful to the two anonymous referees and to the Editor-in-Chief for their valuable revisions and suggestions. We believe they deeply contributed in improving our work. The usual disclaimer applies.